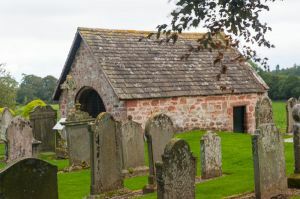 All that remains of the 14th-century church at Edzel is a small burial aisle, built in the 16th century by the local Lindsay family as a chantry chapel. 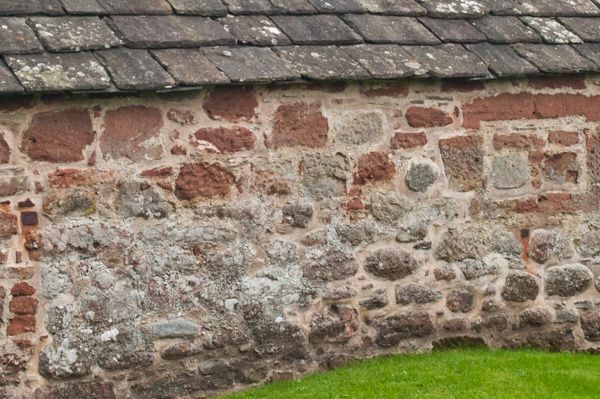 It was later used as a burial vault for the family, but the church itself fell out of use when a new parish church was erected in 1818. 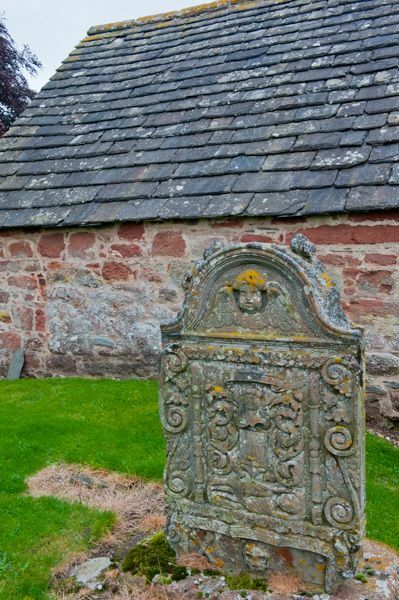 Stone from the old church was scavenged for the new building, leaving behind the burial aisle as the only reminder of the medieval church. The aisle is about 9 feet square and is covered by a modern slate roof, which tends to disguise the true age of the structure. 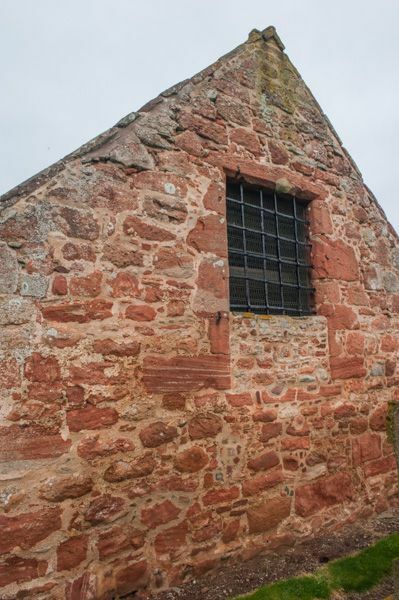 The church stands close to the 12th-century motte of Edzell Castle, which suggests that it may have been built at the same time as the castle. Fragments of sculpted stones have been discovered on the site, suggesting that there may have been a Celtic foundation here. I was disappointed to discover that you can't actually go inside the burial aisle. There is a barred mesh gate at one end, and you can easily see into the interior through the mesh, but not actually go inside. 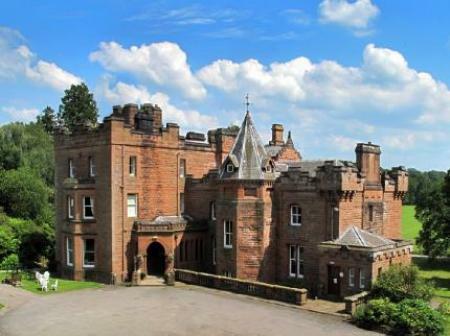 It is worth taking in the aisle as part of a visit to Edzell Castle, but unless you have Lindsay heritage you probably won't find it a compelling place to visit in its own right. 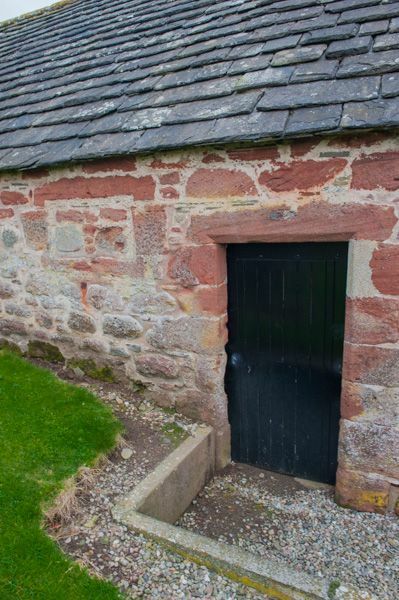 This romantic, detached cottage sits on the owner's working sheep farm, seven miles from Edzell in Scotland, and sleeps two people in one bedroom.